Five miles from Canal camping is Alderfen broad, which contains some of the area’s finest remaining tussock fen and carr woodland. It also supports a number of scarce plants and good numbers of invertebrates including butterflies and dragonflies. The explosive song of the Cetti’s warbler can be heard throughout the year, with reed and sedge warblers common in the summer alongside occasional grasshopper warblers. 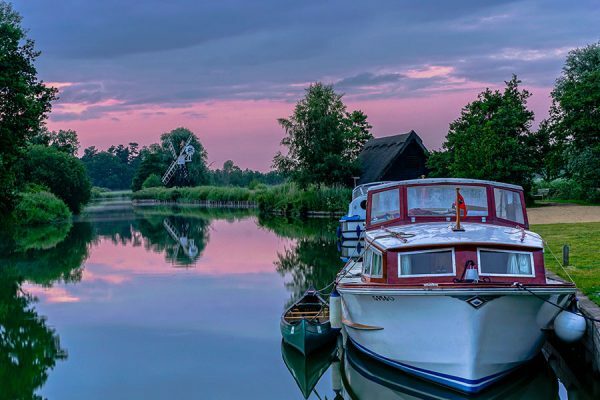 Hickling is the largest of the Norfolk Broads and is the gateway to 116 square miles of Broads and Rivers. 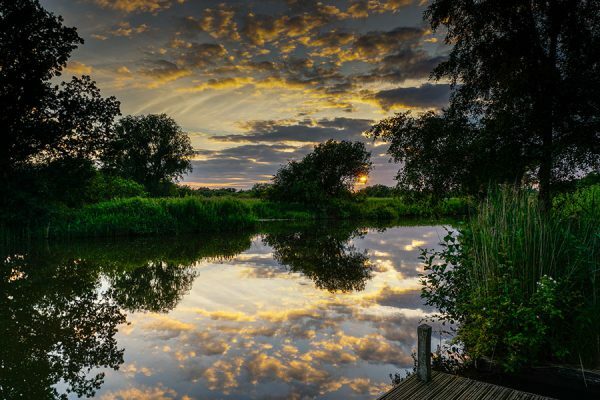 As a National Nature Reserve totalling 600 hectares, Hickling is a secret haven for wildlife all year round and the ideal destination for bird watchers, being home to barn owls, bitterns, common cranes and marsh harriers as well as swallowtail butterflies and Norfolk Hawker dragonflies. 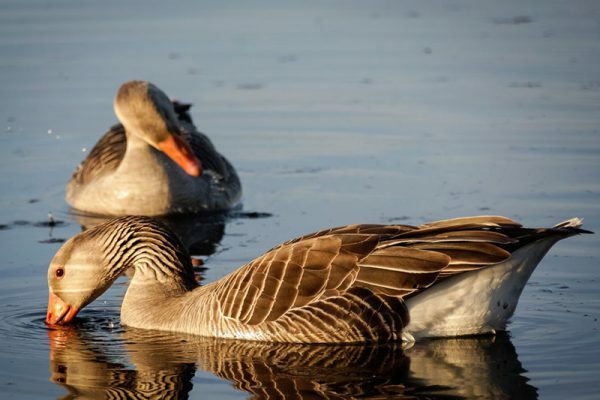 Hickling’s nature reserve is situated 7 miles away from the Canal campsite and has a superb circular walk, and there are plenty of marked trails for visitors to navigate their way around, plus bird hides, an observation tower and viewing platforms. 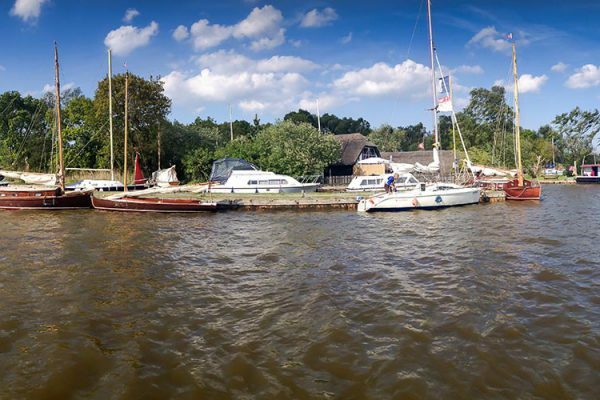 A superb way to experience Hickling Broad’s beauty is through one of Norfolk Wildlife Trust’s guided wildlife boat tours. The water trail takes you through quiet backwaters to two bird hides out on the Broad and a 60’ tree tower with breath-taking views across the Reserve. Three trips run daily from Easter to the end of September at 10.30, 1.30 and 3.00 with a 15-minute walk to the boat landing stage. Booking is advisable by telephoning 01692 598276. Hickling Visitor Centre is open between 10 and 5 daily between Easter and the end of September and weekends and half term during October and offers a gift shop, refreshments, picnic area and toilets. How Hill near Ludham, with the River Ant running through it, has reedbeds, grazing marshes, wet woodlands and its very own broad, all full to the brim with wildlife waiting to be discovered. Entry to the site is free, with free parking and free 24-hour moorings. There are plenty of wildlife trails and family friendly water trails to be had! There are the Riverside paths, where you can take a free circular walk around How Hill and see Buttle Marsh. Buttle is one of the old local names for Bittern, one of the rarest birds in the broads. The riverside footpath continues to Ludham Bridge and there’s also a 300-metre easy access path along the river to Boardman’s Mill and Clayrack Mill. 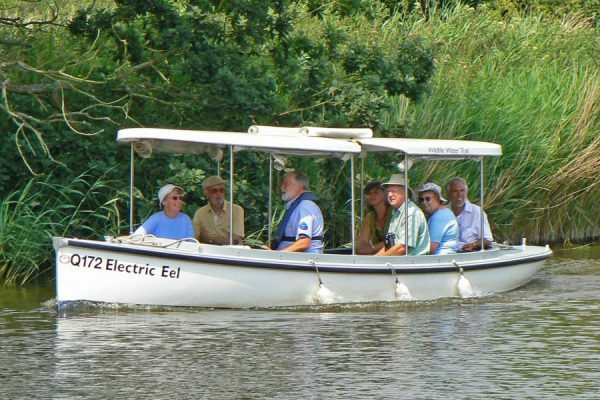 Glide along the reed-fringed dykes on board the Electric Eel and take a short walk to a bird hide overlooking Reedham Water. Take a walk along the waymarked trail through marshes and woodlands. Sometimes there are avocets wading in the shallow water of the scrape. In June and August look out for the spectacular swallowtail butterfly. 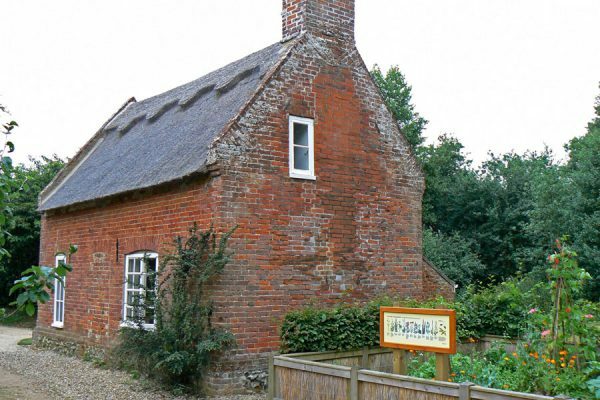 The tiny eel-catcher’s cottage will give you a glimpse of life on the marshes in Victorian times. 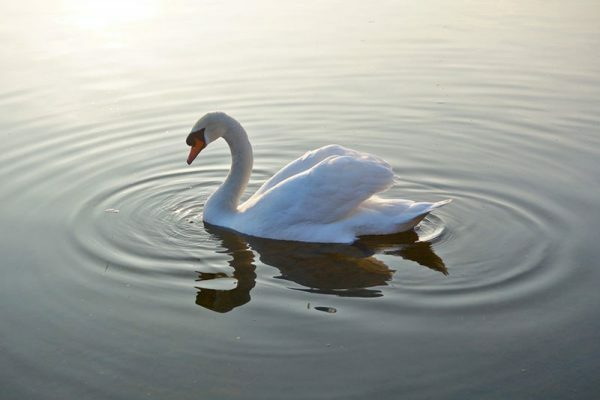 It’s free entry and a wildlife touchscreen lets you explore the Broads wildlife. 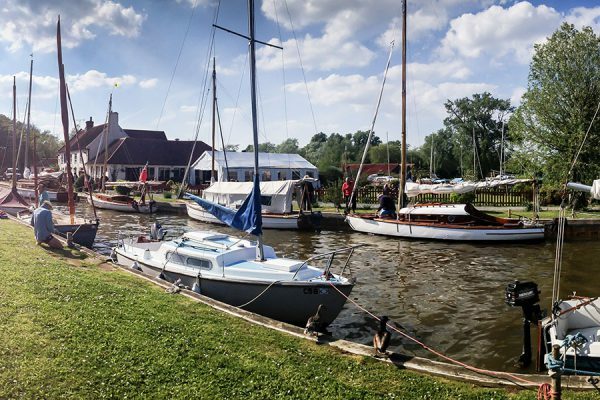 Canal camping is a beautiful campsite located in Dilham, Norfolk. The campsite is nestled among wildlife, water and beautiful skies. Spring Farm Systems Limited t/a Canal Camping is a private limited company incorporated and registered in England and Wales with company number 09258797 whose registered office address is Spring Farm, Halvergate Road, Moulton St. Mary, Norwich, NR13 3UL.